Here's a charmingly kitschy kit for the creative minded. 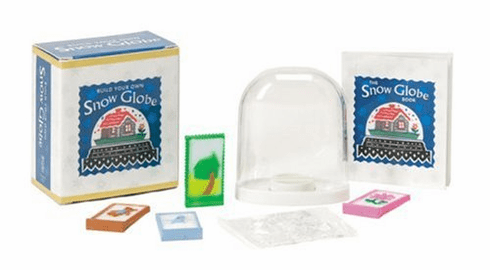 A real snow globe is packaged with "snow" crystals, 4 interchangeable pieces (snowman, leaf, flower, and beach ball) to represent different seasons, and a 32-page guide that explains why snow globes have become such hot collectibles, and how to customize this one. By Alison Trulock.